Saturday, May 16th, the American Institute of Architects will hold a vote on Resolution 15-6 in Atlanta. 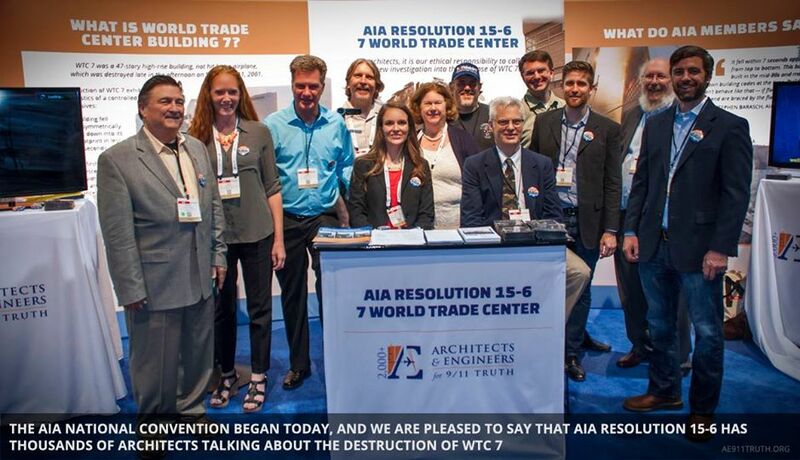 The American Institute of Architects (AIA) Finalized Resolution 15-6: To cause the AIA to adopt a Position Statement in support of a new investigation into the complete collapse of 7 World Trade Center on September 11, 2001. "Thousands of members of the architecture and engineering professions, including 55 sponsors of this resolution, believe the NIST investigation did not adhere to the principles of the scientific method and as a result the conclusions of the NIST investigation are fatally flawed."